10 years ago today, I joined Canonical, on the very earliest version of the Ubuntu Server Team! And in the decade since, I've had the tremendous privilege to work with so many amazing people, and the opportunity to contribute so much open source software to the Ubuntu ecosystem. Throughout the history of UNIX, the "message of the day" was always manually edited and updated by the local system administrator. 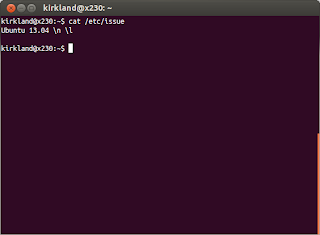 Until Ubuntu's message-of-the-day. In fact, I received an email from Dennis Ritchie and Jon "maddog" Hall, confirming this, in April 2010. 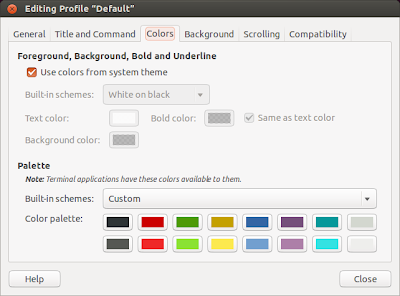 This started as a feature request for the Landscape team, but has turned out to be tremendously useful and informative to all Ubuntu users. Just last year, we launched motd.ubuntu.com, which provides even more dynamic information about important security vulnerabilities and general news from the Ubuntu ecosystem. Mathias Gug help me with the design and publication. This was the first public open source project I worked on, in my spare time at Canonical. I had a local copy of the Ubuntu archive and I was thinking about what sorts of automated jobs I could run on it. So I wrote some scripts that extracted the manpages out of each one, formatted them as HTML, and published into a structured set of web directories. 10 years later, it's still up and running, serving thousands of hits per day. In fact, this was one of the ways we were able to shrink the Ubuntu minimal image, but removing the manpages, since they're readable online. Colin Watson and Kees Cook helped me with the initial implementation, and Matthew Nuzum helped with the CSS and Ubuntu theme in the HTML. If you know me at all, you know my passion for the command line UI/UX that is "Byobu". Byobu was born as the "screen-profiles" project, over lunch at Google in Mountain View, in December of 2008, at the Ubuntu Developer Summit. 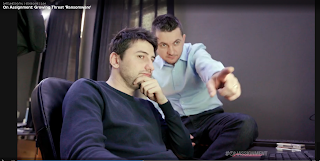 Around the lunch table, several of us (including Nick Barcet, Dave Walker, Michael Halcrow, and others), shared our tips and tricks from our own ~/.screenrc configuration files. 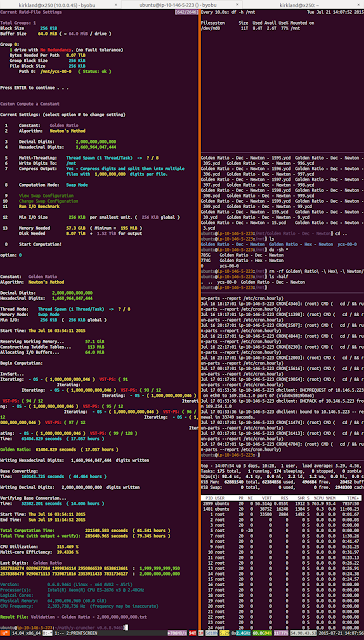 In Cape Town, February 2010, at the suggestion of Gustavo Niemeyer, I ported Byobu from Screen to Tmux. 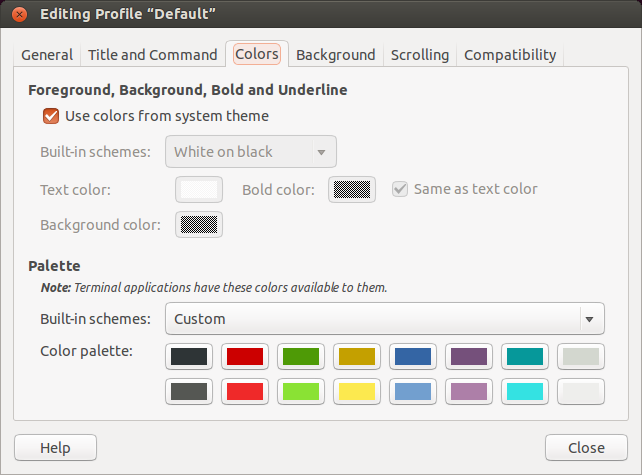 Since Ubuntu Servers don't generally have GUIs, Byobu is designed to be a really nice interface to the Ubuntu command line environment. I was familiar with eCryptfs from its inception in 2005, in the IBM Linux Technology Center's Security Team, sitting next to Michael Halcrow who was the original author. When I moved to Canonical, I helped Michael maintain the userspace portion of eCryptfs (ecryptfs-utils) and I shepherded into Ubuntu. eCryptfs was super powerful, with hundreds of options and supported configurations, but all of that proved far to difficult for users at large. So I set out to simplify it drastically, with an opinionated set of basic defaults. I started with a simple command to mount a "Private" directory inside of your home directory, where you could stash your secrets. A few months later, on a long flight to Paris, I managed to hack a new PAM module, pam_ecryptfs.c, that actually encrypted your entire home directory! This was pretty revolutionary at the time -- predating Apple's FileVault or Microsoft's Bitlocker, even. Today, tens of millions of Ubuntu users have used eCryptfs to secure their personal data. I worked closely with Tyler Hicks, Kees Cook, Jamie Strandboge, Michael Halcrow, Colin Watson, and Martin Pitt on this project over the years. With the explosion of virtual machines and cloud instances in 2009 / 2010, I found myself constantly copying public SSH keys around. Moreover, given Canonical's globally distributed nature, I also regularly found myself asking someone for their public SSH keys, so that I could give them access to an instance, perhaps for some pair programming or assistance debugging. As it turns out, everyone I worked with, had a Launchpad.net account, and had their public SSH keys available there. So I created (at first) a simple shell script to securely fetch and install those keys. Scott Moser helped clean up that earliest implementation. Eventually, I met Casey Marshall, who helped rewrite it entirely in Python. Moreover, we contacted the maintainers of Github, and asked them to expose user public SSH keys by the API -- which they did! Now, ssh-import-id is integrated directly into Ubuntu's new subiquity installer and used by many other tools, such as cloud-init and MAAS. In 2009, Canonical purchased 5 Dell laptops, which was the Ubuntu Server team's first "cloud". These laptops were our very first lab for deploying and testing Eucalyptus clouds. I was responsible for those machines at my house for a while, and I automated their installation with PXE, TFTP, DHCP, DNS, and a ton of nasty debian-installer preseed data. That said -- it worked! As it turned out, Scott Moser and Mathias Gug had both created similar setups at their houses for the same reason. I was mentoring a new hire at Canonical, named Andres Rodriquez at the time, and he took over our part-time hacks and we worked together to create the Orchestra project. Orchestra, itself was short lived. It was severely limited by Cobbler as a foundation technology. So the Orchestra project was killed by Canonical. But, six months later, a new project was created, based on the same general concept -- physical machine provisioning at scale -- with an entire squad of engineers led by...Andres Rodriguez :-) MAAS today is easily one of the most important projects the Ubuntu ecosystem and one of the most successful products in Canonical's portfolio. 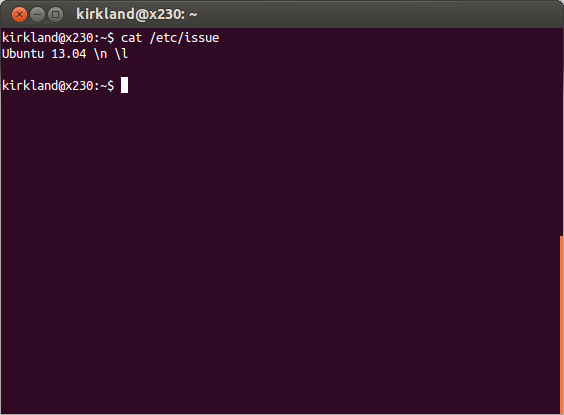 In 2013, I set out to secure Ubuntu at large from a set of attacks ranging from insufficient entropy at first boot. This was especially problematic in virtual machine instances, in public clouds, where every instance is, by design, exactly identical to many others. Moreover, the first thing that instance does, is usually ... generate SSH keys. This isn't hypothetical -- it's quite real. Raspberry Pi's running Debian were deemed susceptible to this exact problem in November 2015. So designed and implemented a client (shell script that runs at boot, and fetches some entropy from one to many sources), as well as a high-performance server (golang). The client is the 'pollinate' script, which runs on the first boot of every Ubuntu server, and the server is the cluster of physical machines processing hundreds of requests per minute at entropy.ubuntu.com. Many people helped review the design and implementation, including Kees Cook, Jamie Strandboge, Seth Arnold, Tyler Hicks, James Troup, Scott Moser, Steve Langasek, Gustavo Niemeyer, and others. In December of 2011, in my regular 1:1 with my manager, Mark Shuttleworth, I told him about these new "Intel NUCs", which I had bought and placed them around my house. 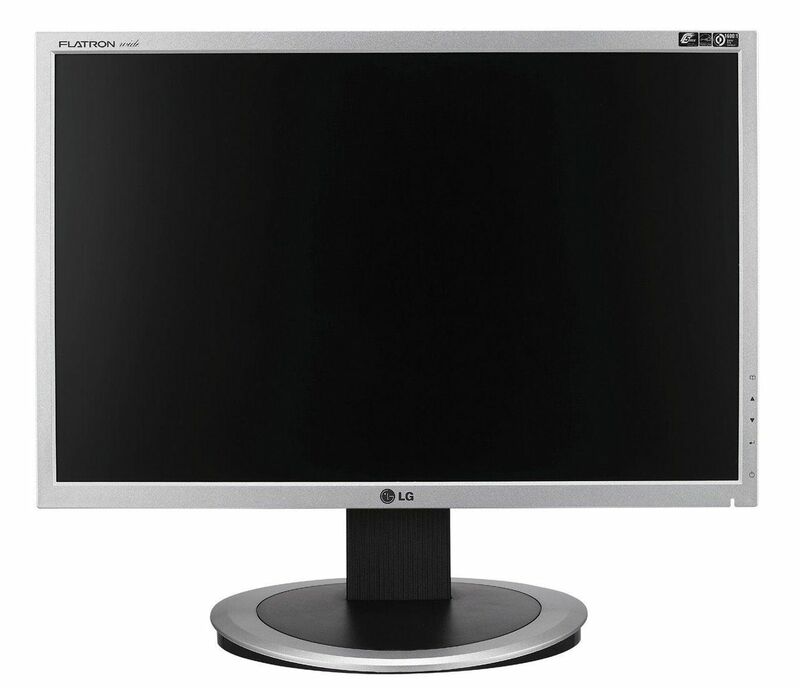 I had 3, each of which was running Ubuntu, and attached to a TV around the house, as a media player (music, videos, pictures, etc). In their spare time, though, they were OpenStack Nova nodes, capable of running a couple of virtual machines. Mark immediately asked, "How many of those could you fit into a suitcase?" Within 24 hours, Mark had reached out to the good folks at TranquilPC and introduced me to my new mission -- designing the Orange Box. I worked with the Tranquil folks through Christmas, and we took our first delivery of 5 of these boxes in January of 2014. Each chassis held 10 little Intel NUC servers, and a switch, as well as a few peripherals. Effectively, it's a small data center that travels. We spend the next 4 months working on the hardware under wraps and then unveiled them at the OpenStack Summit in Atlanta in May 2014. We've gone through a couple of iterations on the hardware and software over the last 4 years, and these machines continue to deliver tremendous value, from live demos on the booth, to customer workshops on premises, or simply accelerating our own developer productivity by "shipping them a lab in a suitcase". I worked extensively with Dan Poler on this project, over the course of a couple of years. Perhaps the highlight of my professional career came in October of 2016. Watching Saturday Night Live with my wife Kim, we were laughing at a skit that poked fun at another of my favorite shows, Mr. Robot. On the computer screen behind the main character, I clearly spotted Hollywood! Hollywood is just a silly, fun little project I created on a plane one day, mostly to amuse Kim. But now, it's been used in Saturday Night Live, NBC Dateline News, and an Experian TV commercials! Even Jess Frazelle created a Docker container. From "warty warthog" to "bionic beaver", we've always had a focus on fun, and user experience here in Ubuntu. How hard is it to talk to your colleague about your Amazon EC2 instance, "i-83ab39f93e"? Or your container "adfxkenw"? We set out to make something a little more user-friendly with our "petnames". Petnames are randomly generated "adjective-animal" names, which are easy to pronounce, spell, and remember. I curated and created libraries that are easily usable in Shell, Golang, and Python. With the help of colleagues like Stephane Graber and Andres Rodriguez, we now use these in many places in the Ubuntu ecosystem, such as LXD and MAAS. If you've read this post, thank you for indulging me in a nostalgic little trip down memory lane! I've had an amazing time designing, implementing, creating, and innovating with some of the most amazing people in the entire technology industry. And here's to a productive, fun future! My wife, Kimberly, and I watch Saturday Night Live religiously. As in, we probably haven't missed a single episode since we started dating more than 12 years ago. And in fact, we both watched our fair share of SNL before we had even met, going back to our teenage years. We were catching up on SNL's 42nd season premier late this past Sunday night, after putting the kids to bed, when I was excited to see a hilarious sketch/parody of Mr. Robot. If SNL is my oldest TV favorite, Mr. Robot is certainly my newest! Just wrapping its 2nd season, it's a brilliantly written, flawlessly acted, impeccably set techno drama series on USA. I'm completely smitten, and the story seems to be just getting started! Okay, so Kim and I are watching a hilarious sketch where Leslie Jones asks Elliot to track down the person who recently hacked her social media accounts. 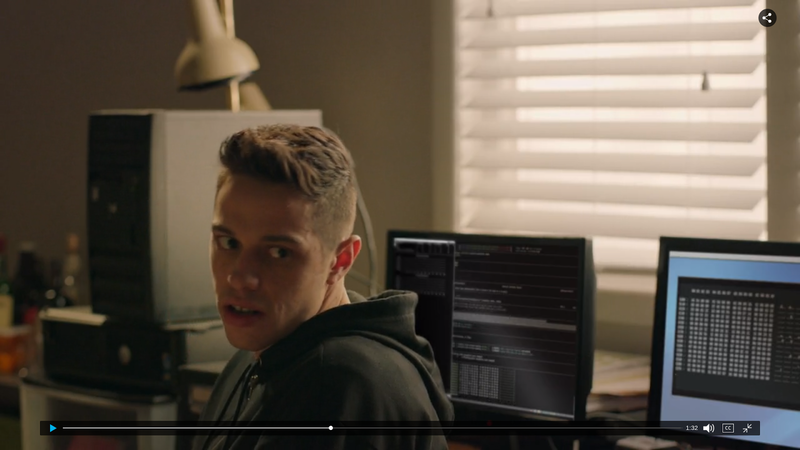 And, as always, I take note of what's going in the background on the computer screen. It's just something I do. I love to try and spot the app, the OS, the version, identify the Linux kernel oops, etc., of anything on any computer screen on TV. At about the 1:32 mark of the SNL/Mr.Robot skit, there was something unmistakable on the left computer, just over actor Pete Davidson's right shoulder. Merely a fraction of a second, and I recognized it instantly! A dark terminal, split into a dozen sections. A light grey boarder, with a thicker grey highlighting one split. 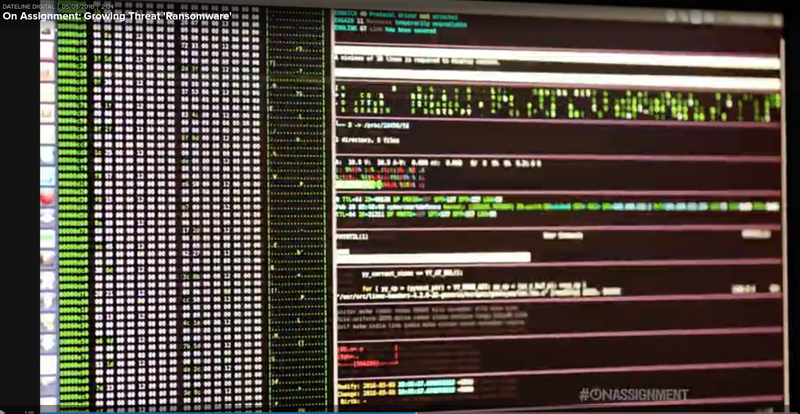 The green drip of text from The Matrix in one of the splits. A flashing, bouncing yellow audio wave in another. An instant rearrangement of all of those windows each second. And a few months ago , Hollywood found its way into an NBC News piece that took itself perhaps a little too seriously, as it drummed up a bit of fear around "Ransomware". But, far more appropriately, I'm absolutely delighted to see another NBC program -- Saturday Night Live -- using Hollywood exactly as intended -- for parody! Docker 1.10 with Fan Networking in Ubuntu 16.04, for Every Architecture! I'm thrilled to introduce Docker 1.10.3, available on every Ubuntu architecture, for Ubuntu 16.04 LTS, and announce the General Availability of Ubuntu Fan Networking! That's Docker-Docker-Docker-Docker-Docker-Docker, from the smallest Raspberry Pi's to the biggest IBM mainframes in the world today! 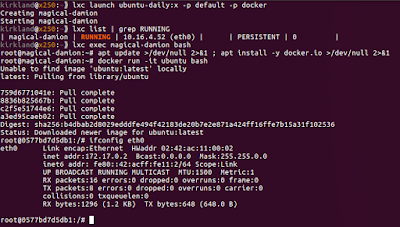 Never more than one 'sudo apt install docker.io' command away. 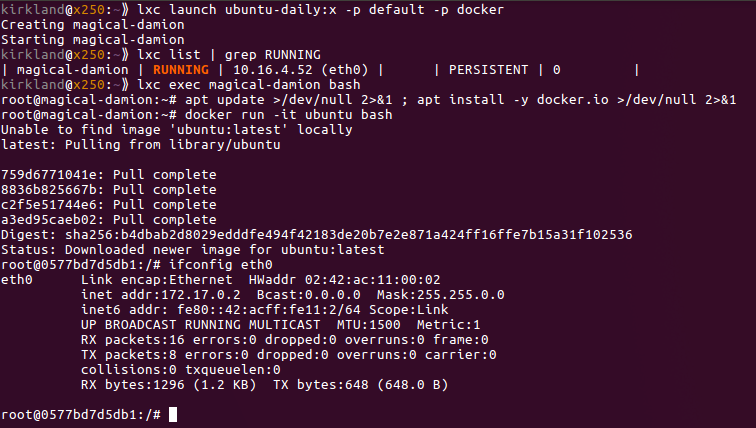 Moreover, we now have Docker running inside of LXD! Containers all the way down. Application containers (e.g. Docker), inside of Machine containers (e.g. 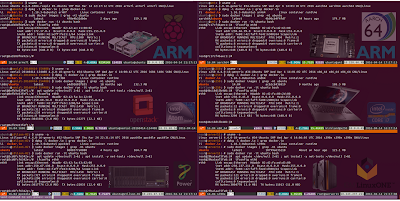 LXD), inside of Virtual Machines (e.g. KVM), inside of a public or private cloud (e.g. 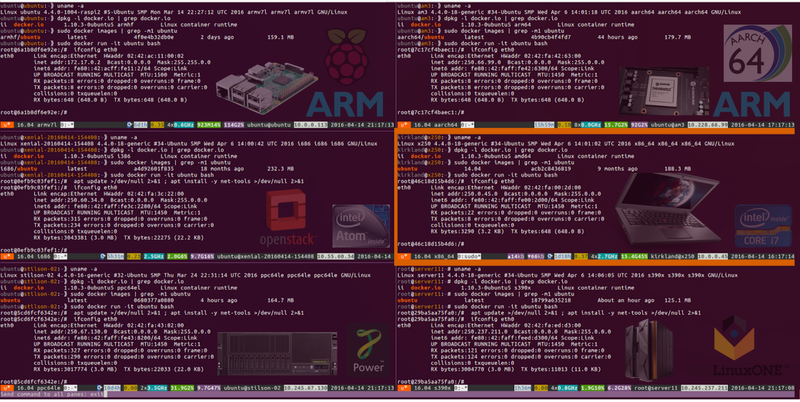 Azure, OpenStack), running on bare metal (take your pick). Oh, and let's talk about networking... We're also pleased to announce the general availability of Ubuntu Fan networking -- specially designed to connect all of your Docker containers spread across your network. Ubuntu's Fan networking feature is an easy way to make every Docker container on your local network easily addressable by every other Docker host and container on the same network. It's high performance, super simple, utterly deterministic, and we've tested it on every major public cloud as well as OpenStack and our private networks. Simply installing Ubuntu's Docker package will also install the ubuntu-fan package, which provides an interactive setup script, fanatic, should you choose to join the Fan. Simply run 'sudo fanatic' and answer the questions. You can trivially revert your Fan networking setup easily with 'sudo fanatic deconfigure'. use this network. See fanatic(1) for more details. Finally, let's have another long hard look at the image from the top of this post. Download it in full resolution to study very carefully what's happening here, because it's pretty [redacted] amazing! That's right. We just launched Ubuntu LXD containers, as well as Docker containers against every Ubuntu 16.04 LTS architecture. How's that for Ubuntu everywhere!?! Ubuntu 16.04 LTS will be one hell of a release! 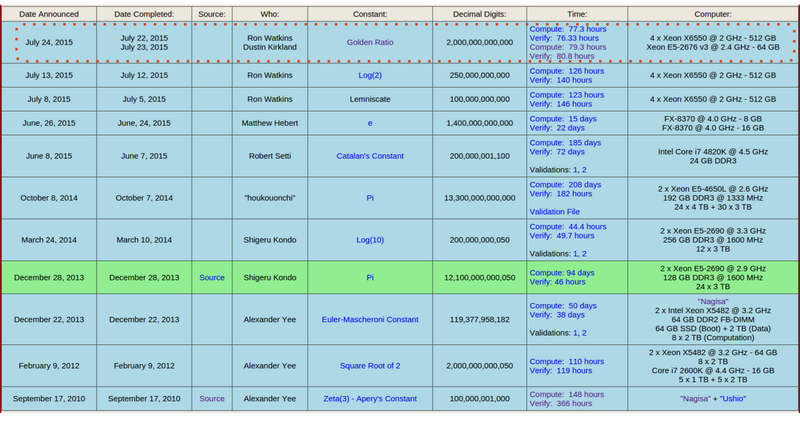 The Golden Ratio calculated to a record 2 trillion digits, on Ubuntu, in the Cloud! 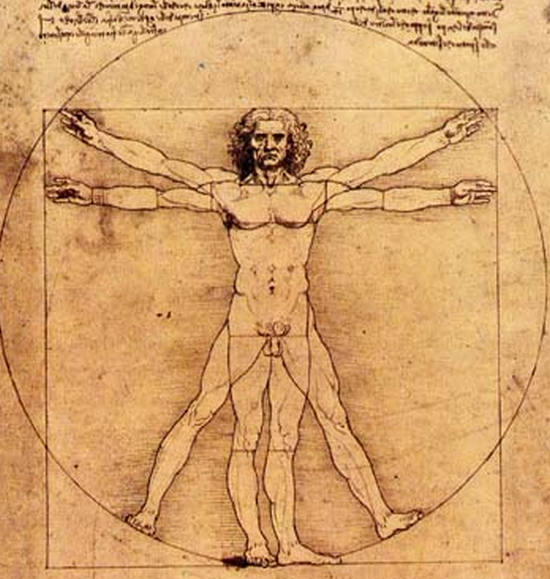 The Golden Ratio is one of the oldest and most visible irrational numbers known to humanity. Pi is perhaps more famous, but the Golden Ratio is found in more of our art, architecture, and culture throughout human history. 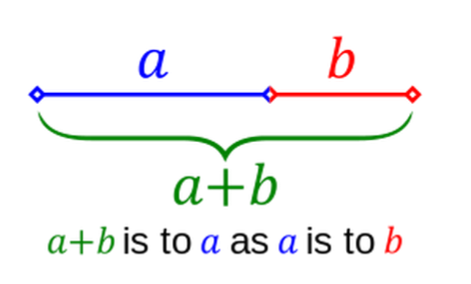 I think of the Golden Ratio as sort of "Pi in 1 dimension". Whereas Pi is the ratio of a circle's circumference to its diameter, the Golden Ratio is the ratio of a whole to one of its parts, when the ratio of that part to the remainder is equal. 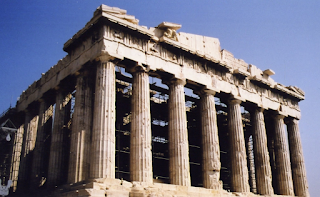 We find the Golden Ratio in the architecture of antiquity, from the Egyptians to the Greeks to the Romans, right up to the Renaissance and even modern times. For the first 300 years of printing, nearly all books were printed on pages whose length to width ratio matched that of the Golden Ratio. 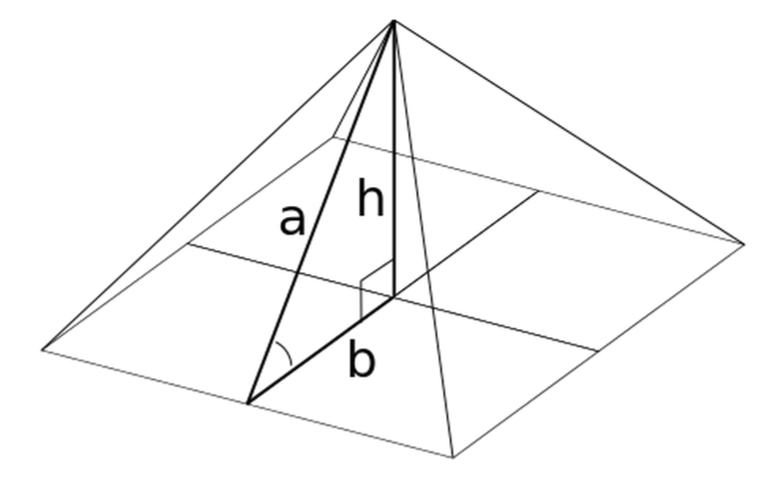 From school, you probably remember that the Golden Ratio is approximately ~1.6 (and change). There's a strong chance that your computer or laptop monitor has a 16:10 aspect ratio. Does 1280x800 or 1680x1050 sound familiar? You can plug that number into your computer's calculator and crank out a dozen or so significant digits. Also, while doing some network benchmark testing of The Fan Networking among Docker containers, I experimented for the first time with some of Amazon's biggest instances, which have dedicated 10gbps network links. While I had a couple of those instances up, I did some small scale benchmarking of y-cruncher. 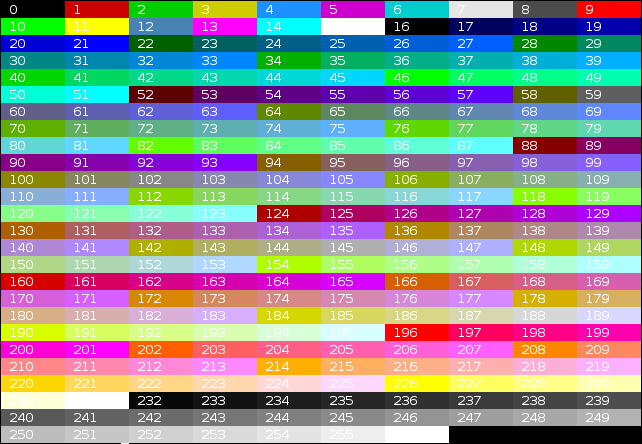 Presently, none of the mathematical constant records are even remotely approachable with CPU and Memory alone. All of them require multiple terabytes of disk, which act as a sort of swap space for temporary files, as bits are moved in and out of memory while the CPU crunches. As such, approaching these are records are overwhelmingly I/O bound -- not CPU or Memory bound, as you might imagine. Let's geek out on technical specifications for a second... So what's in a d2.2xlarge? First, I arranged all 6 of those 2TB disks into a RAID0 with mdadm, and formatted it with xfs (which performed better than ext4 or btrfs in my cursory tests). $ sudo mdadm --create --verbose /dev/md0 --level=stripe --raid-devices=6 /dev/xvd? The beauty here of RAID0 is that each of the 6 disks can be used to read and/or write simultaneously, perfectly in parallel. 600 MB/sec is pretty quick reads by any measure! In fact, when I tested the d2.8xlarge, I put all 24x 2TB disks into the same RAID0 and saw nearly 2.4 GB/sec read performance across that 48TB array! Byobu was very handy here, being able to track in the bottom status bar my CPU load, memory usage, disk usage, and disk I/O, as well as connecting and disconnecting from the running session multiple times over the 4 days of running. And approximately 79 hours later, it finished successfully! Amazing, another person (who I don't know), named Ron Watkins, performed the exact same computation and published his results within 24 hours, on July 22nd/23rd. 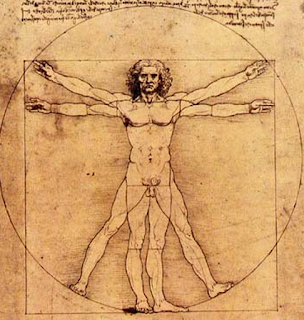 As such, Ron and I are "sharing" credit for the Golden Ratio record. Now, let's talk about the economics here, which I think are the most interesting part of this post. Look at the above chart of records, which are published on the y-cruncher page, the vast majority of those have been calculated on physical PCs -- most of them seem to be gaming PCs running Windows. What's different about my approach is that I used Linux in the Cloud -- specifically Ubuntu in AWS. I paid hourly (actually, my employer, Canonical, reimbursed me for that expense, thanks!) It took right at 160 hours to run the initial calculation (79 hours) as well as the verification calculation (81 hours), at the current rate of $1.38/hour for a d2.2xlarge, which is a grand total of $220! $220 is a small fraction of the cost of 6x 2TB disks, 60 GB of memory, or 8 Xeon cores, not to mention the electricity and cooling required to run a system of this size (~750W) for 160 hours. If we say the first first trillion digits were already known from the previous record, that comes out to approximately 4.5 billion record-digits per dollar, and 12.5 billion record-digits per hour! Hopefully you find this as fascinating as I! As you probably remember from grade school math class, primes are numbers that are only divisible by 1 and themselves. 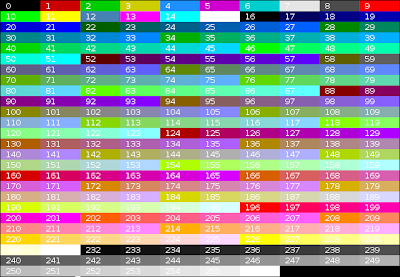 2, 3, 5, 7, and 11 are the first 5 prime numbers, for example. Many computer operations, such as public-key cryptography, depends entirely on prime numbers. In fact, RSA encryption, invented in 1978, uses a modulo of a product of two very large primes for encryption and decryption. The security of asymmetric encryption is tightly coupled with the computational difficulty in factoring large numbers. I actually use prime numbers as the status update intervals in Byobu, in order to improve performance and distribute the update spikes. 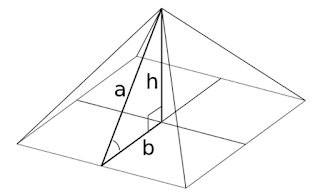 Euclid proved that there are infinitely many prime numbers around 300 BC. But the Prime Number Theorem (proven in the 19th century) says that the probability of any number is prime is inversely proportional to its number of digits. That means that larger prime numbers are notoriously harder to find, and it gets harder as they get bigger! What's the largest known prime number in the world? Well, it has 17,425,170 decimal digits! 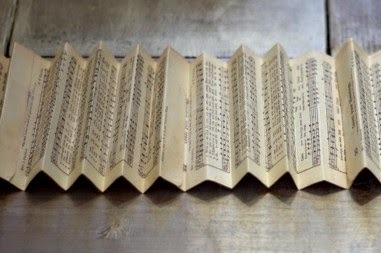 If you wanted to print it out, size 11 font, it would take 6,543 pages -- or 14 reams of paper! That number is actually one less than a very large power of 2. 257,885,161-1. It was discovered by Curtis Cooper on January 25, 2013, on an Intel Core2 Duo. Actually, each of the last 14 record largest prime numbers discovered (between 1996 and today) have been of that form, 2P-1. Numbers of that form are called Mersenne Prime Numbers, named after Friar Marin Mersenne, a French priest who studied them in the 1600s. 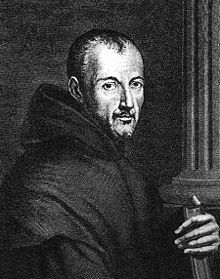 Friar Mersenne's work continues today in the form of the Great Internet Mersenne Prime Search, and the mprime program, which has been used to find those 14 huge prime numbers since 1996.
mprime is a massive parallel, cpu scavenging utility, much like SETI@home or the Protein Folding Project. It runs in the background, consuming resources, working on its little piece of the problem. mprime is open source code, and also distributed as a statically compiled binary. And it will make a fine example of how to package a service into a Docker container, a Juju charm, and a Snappy snap. And then, create a Dockerfile, that copies the files we need into the image. Here's our example. Then publish the image to Dockerhub. Now you can run this image anywhere you can run Docker. So now, let's create a Juju Charm that uses this Docker container. Actually, we're going to create a subordinate charm. Subordinate services in Juju are often monitoring and logging services, things that run along side primary services. Something like mprime is a good example of something that could be a subordinate service, attached to one or many other services in a Juju model. A Mersenne prime is a prime of the form 2^P-1. 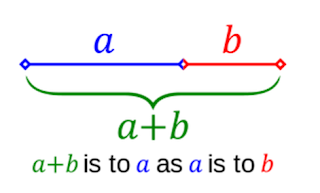 (corresponding to P = 2, 3, 5, 7). searching for the next Mersenne prime number. See http://www.mersenne.org/ for more details! 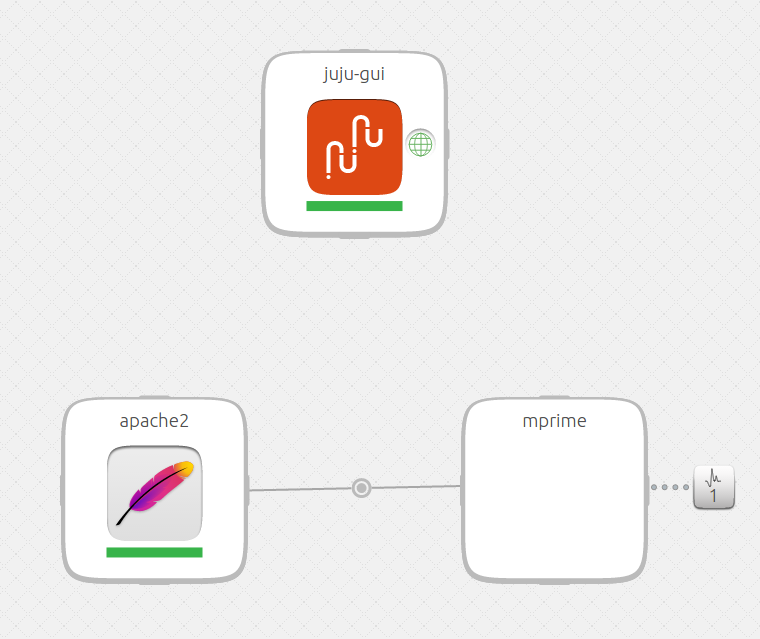 Now, we can add the mprime service to any other running Juju service. As an example here, I'll --bootstrap, deploy the Apache2 charm, and attach mprime to it. Finally, let's build a Snap. 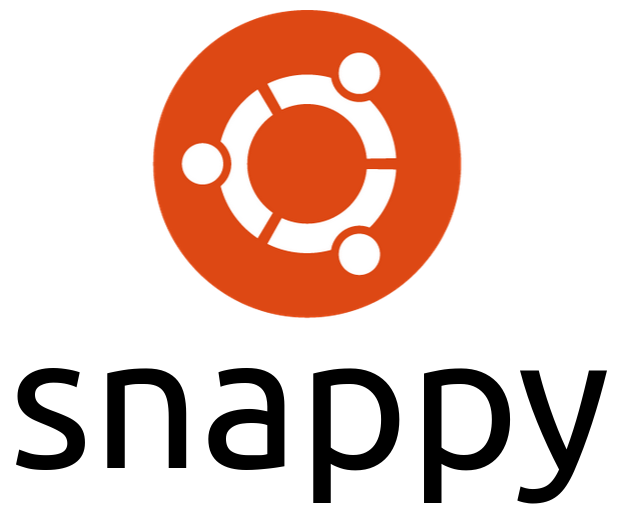 Snaps are applications that run in Ubuntu's transactional, atomic OS, Snappy Ubuntu Core. 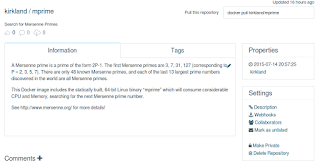 description: "Search for Mersenne Prime Numbers"
And the start.sh launches the service via Docker. 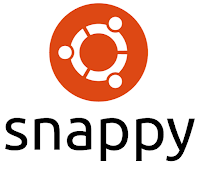 And now, we can install our locally built Snap. 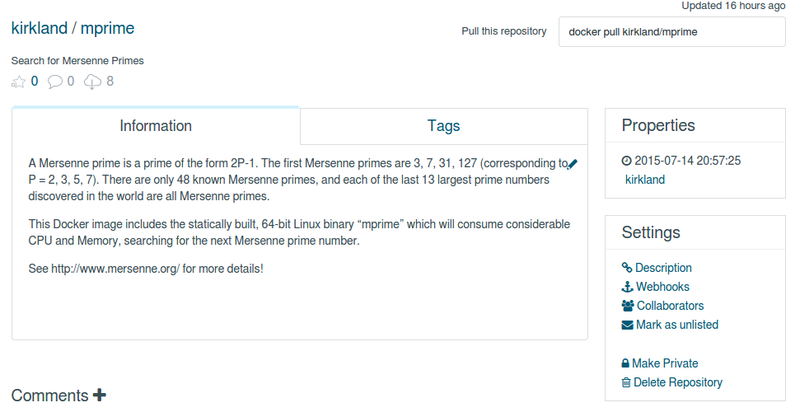 How long until this Docker image, Juju charm, or Ubuntu Snap finds a Mersenne Prime? Almost certainly never :-) I want to be clear: that was never the point of this exercise! 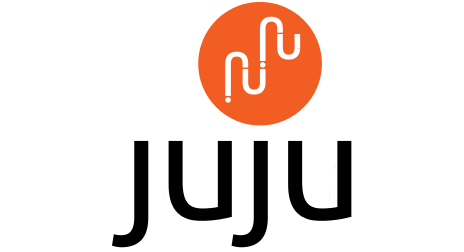 Join us in #docker, #juju, and #snappy on irc.freenode.net. 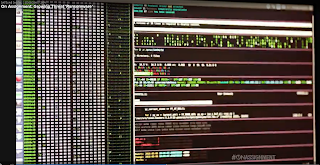 If you're interested in learning how to more effectively use your terminal as your integrated devops environment, consider taking 10 minutes and watching this video while enjoying the finale of Mozart's Symphony No. 40, Allegro Assai (part of which is rumored to have inspired Beethoven's 5th). I'm often asked for a quick-start guide, to using Byobu effectively. 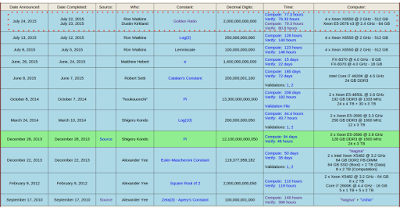 This wiki page is a decent start, as is the manpage, and the various links on the upstream website. But it seems that some of the past screencast videos have had the longest lasting impressions to Byobu users over the years. 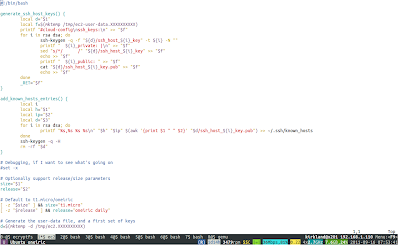 Here's a screenshot of some code open in Byobu in the new font! It really has a light, modern feel to it. I like the distinct differences between "0" and "O", and "1" and "l", which are often tricky with monospace fonts. Cheers to the team working on this -- I really appreciate the efforts, and hope these land on the console/tty at some point too! 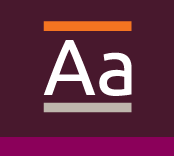 I've only encountered one bug so far, which looks to have been filed already, so I added a comment to: https://bugs.launchpad.net/ubuntu-font-family/+bug/677134 I think the "i" and "l" are a little too similar. 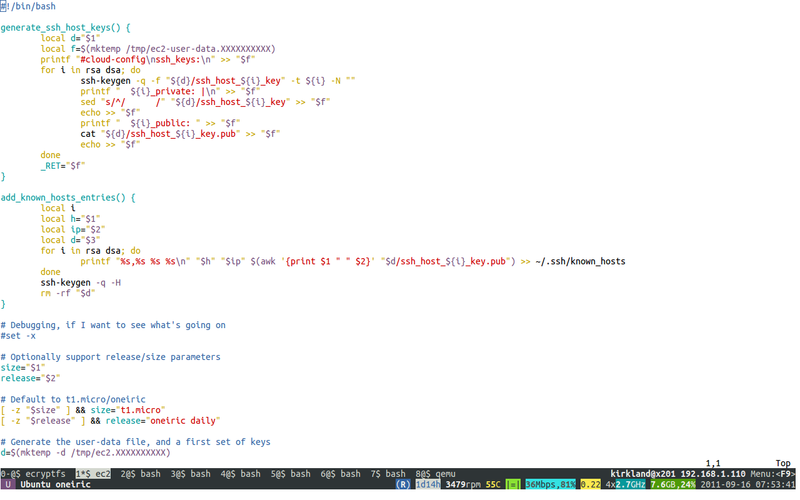 if-fi statements in shell are kind of hard to read. Anyway, nice job -- looking forward to using this font more in the future!